New Aquaman trailer thrills with reveals and full action scenes – AiPT! A new extra-long trailer impresses with story and action details. Aquaman is a film that many are tentatively anticipating. 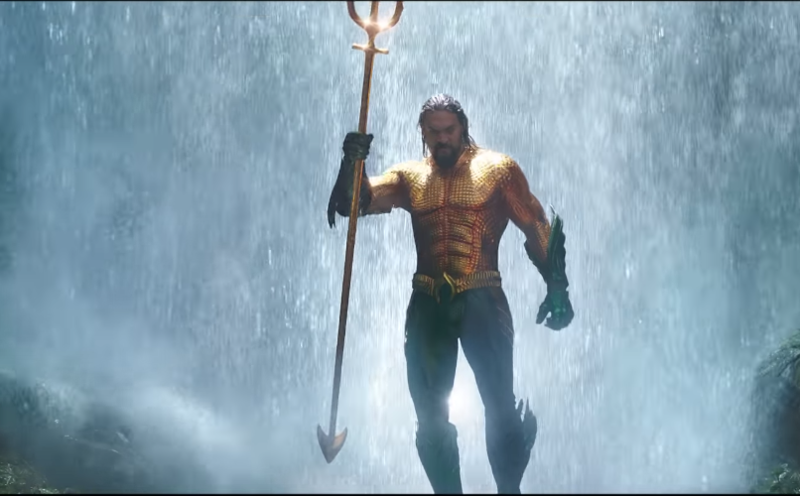 It’s a superhero who has often been ridiculed in the media as the hero who “Talks to fish.” So far we’ve seen some impressive stuff from trailers and posters, but today Warner Brothers blew the doors open on the film with an impressive 5 plus minute trailer. Talk about an impressive trailer! It not only delivers an almost complete action sequence, but offers up a full view of Black Manta in all his laser glory. This trailer also begins to unveil what the tone of this film is going to be with an interesting opening sequence that has Indiana Jones vibes as Aquaman and Mera enter an ancient tomb. It also comes with a heavy dose of action with giant sharks and giant sea horses being ridden into battle. Oh, and in a blink or you’ll miss it moment we get a good look at Nicole Kidman as Aquaman’s mom. Check out a few screen captures we took below. Aquaman hits theaters December 14, 2018.